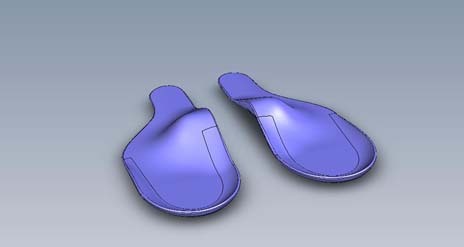 Orthotics change the way we walk. 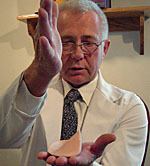 Human Bio-Mechanics / Orthotic Design. Theta Orthotics conducts bio-mechanical research, that first measured the angular correction in any orthotic device: Chronic foot and knee pain motivated me to search for a better orthotic. Once angular design (Theta) was identified and defined using math, it could be studied. After thirty years and thousands of clinical cases our human generated system was replaced with a completely digital system. Digital Theta’s are the only custom product I currently produce and test. Theta research can stop chronic pain caused by the way you walk. Dr. Lane found Theta almost 10 years ago when he was in medical school. See what he has to say about Theta. Theta research is currently self funded by the sale of Theta treatment products, to both new and existing Theta research patients. The medical information and treatment advice I provide creates success and is FREE on the internet. New research, unique design, not available from any other source.